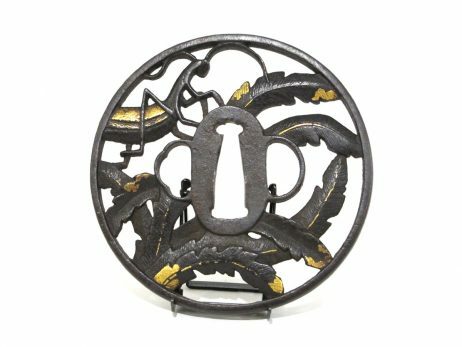 Tsuba en fer marugata comportant des incrustations d’or, avec un décor ajouré d’un mante religieuse en équilibre sur des feuilles. Commentaire de Robert E. Haynes : «This is a work by a Shoami artist from Bizen or Hiroshima but at that time such a piece was made in Bizen. It is very well done and in remarkable conditions. 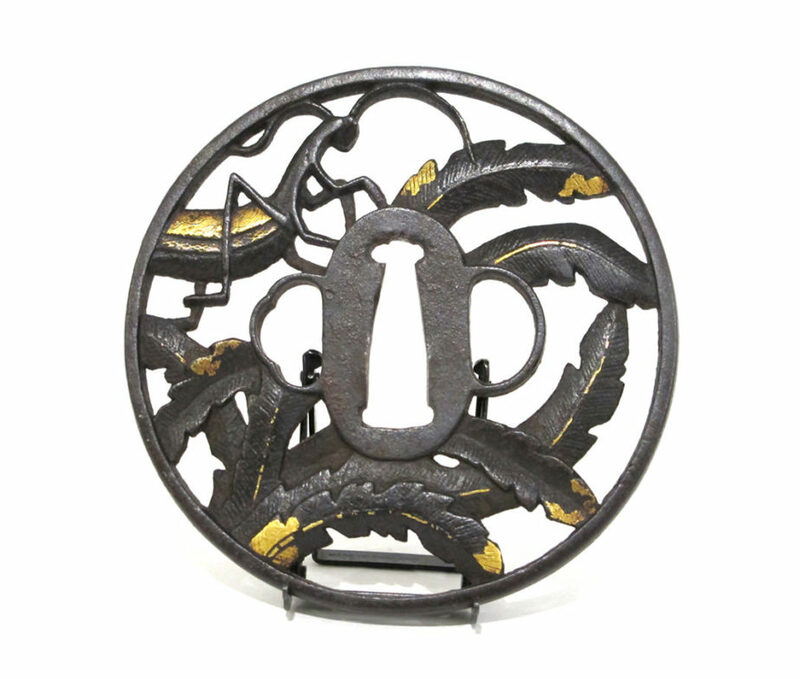 The design is original and it would be popular in Japan because of the meaning of the praying mantis”.